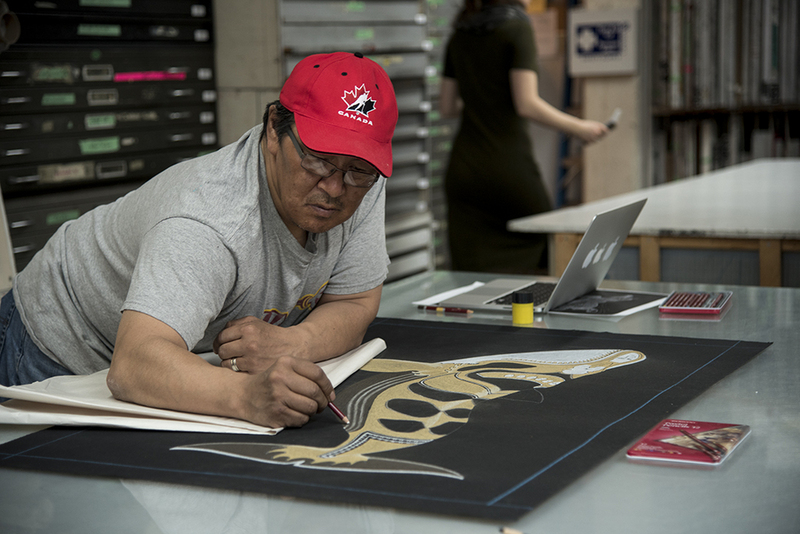 In partnership with Open Studio, Dorset Fine Arts was pleased to present a two-week creative residency with Cape Dorset Inuit artist Tim Pitsiulak. 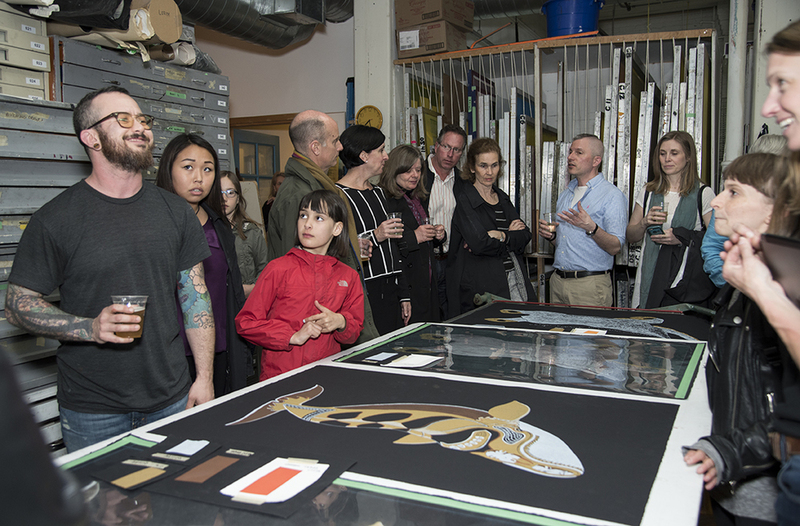 Working in collaboration with Open Studio printmakers from April 11-22, 2016, Pitsiulak created print editions based on two of his iconic Arctic wildlife drawings. 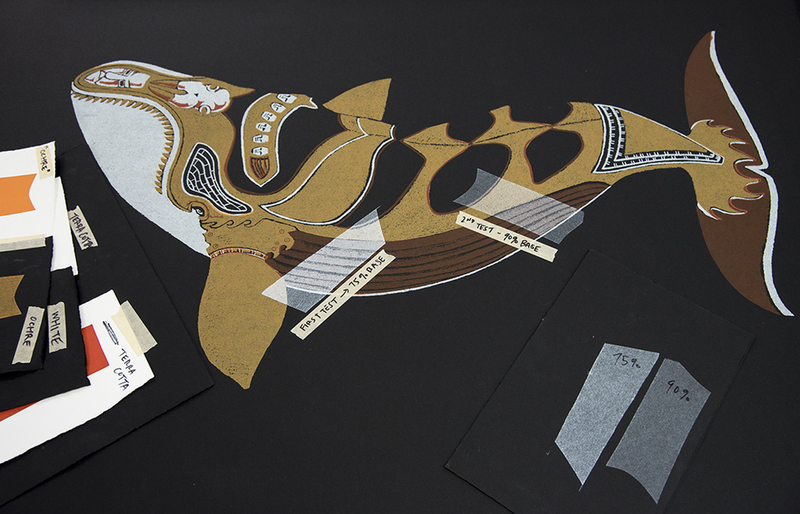 Complementing this production, Pitsiulak conducted a series of artist talks and workshops designed to showcase his practice and highlight the Inuit art of Cape Dorset. 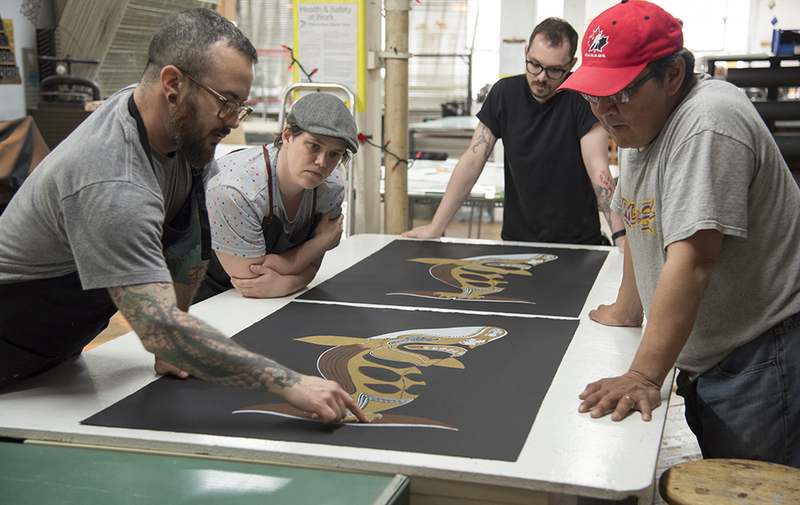 Designed as an annual initiative, this residency program will ensure that each year an artist or master printmaker from Kinngait Studios in Cape Dorset will undertake vital professional development at the Open Studio facility. Working alongside technical and creative staff at the studio, this unique opportunity will encourage shared creative endeavours while seeding lasting relationships between the north and south. 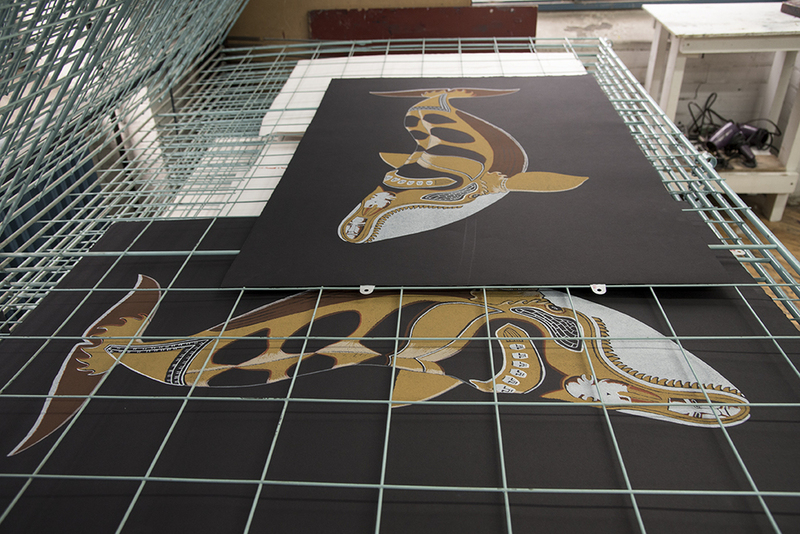 This undertaking is a reinvestment in an historic affiliation between Kinngait Studios and Open Studio - the two organizations were regular collaborators until 1997. 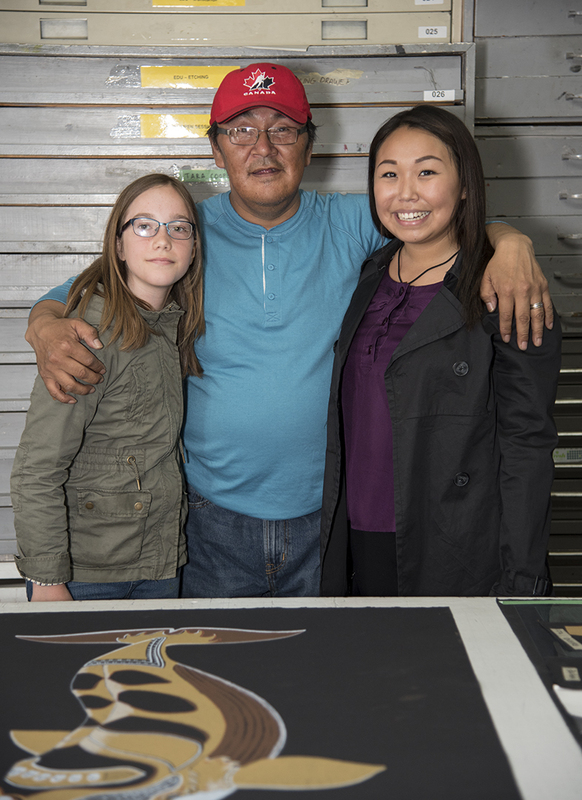 This initiative is generously supported by the Government of Nunavut through its Community Tourism and Cultural Industries program. Tim Pitsiulak has been involved in the arts and various forms of artistic expression for many years. He began to draw in his youth and later took up carving. 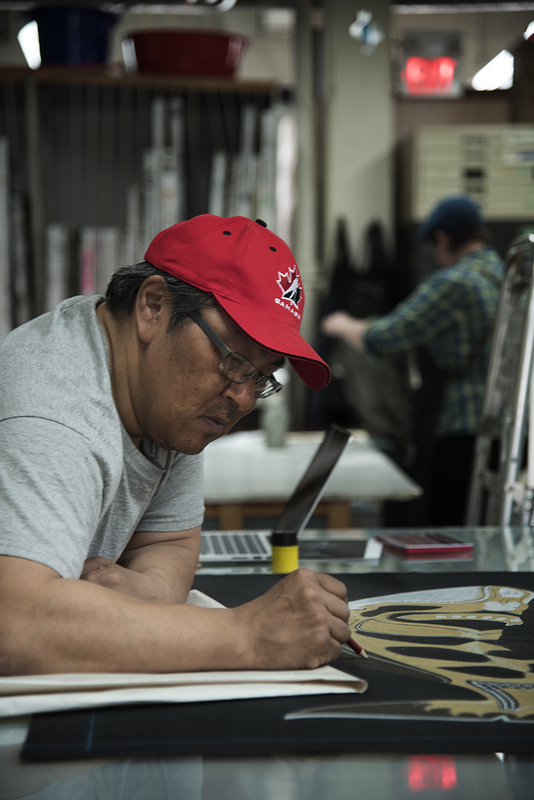 Born 1967 in Kimmirut, Pitsiulak has been a resident of Cape Dorset for several years and works out of the local Kinngait Studios. The land and its wildlife influence his realist drawing style but he has also become a chronicler of the everyday, with large format depictions of boats, heavy equipment and airplanes - the machinery of modern life in Cape Dorset. His career as an artist was a feature in the 2012 summer issue of The Walrus magazine. Pitsiulak recently completed a major commission for Cadillac Fairview's TD Centre in Toronto and has a coin design in circulation with the Royal Canadian Mint. Special thanks to Cheryl Marie Rondeau and Open Studio's Laura Bydlowska for the images!